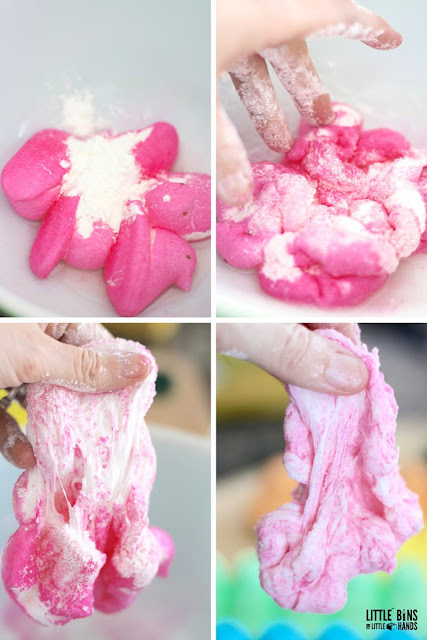 Slime and Peeps… talk about the dream team! When I saw this pin, I just HAD to try it! I would suggest heading over to the original pin... she has amazing pics and instructions. This picture is from the Original Pin! 1. 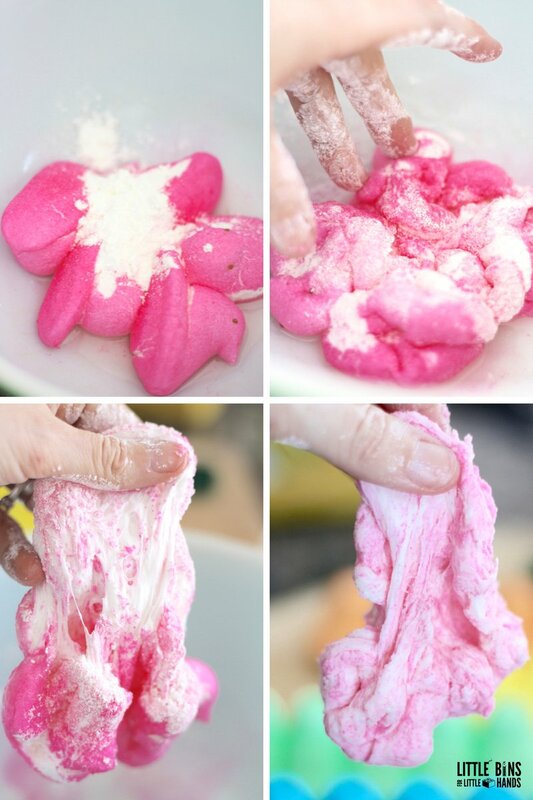 Break apart the sleeve of peeps and add to a microwave safe bowl. 2. Add a tablespoon of vegetable oil to the bowl of peeps. 3. Microwave the bowl of peeps for 30 seconds. 4. Remove the bowl from the microwave and add cornstarch to the mix one tablespoon at a time, smashing it into your peeps. 5. You will want to add corn starch until the peeps don’t feel sticky anymore. I ended up using about 3 tablespoons. Have a HOPPY EASTER! (I am so hilarious).